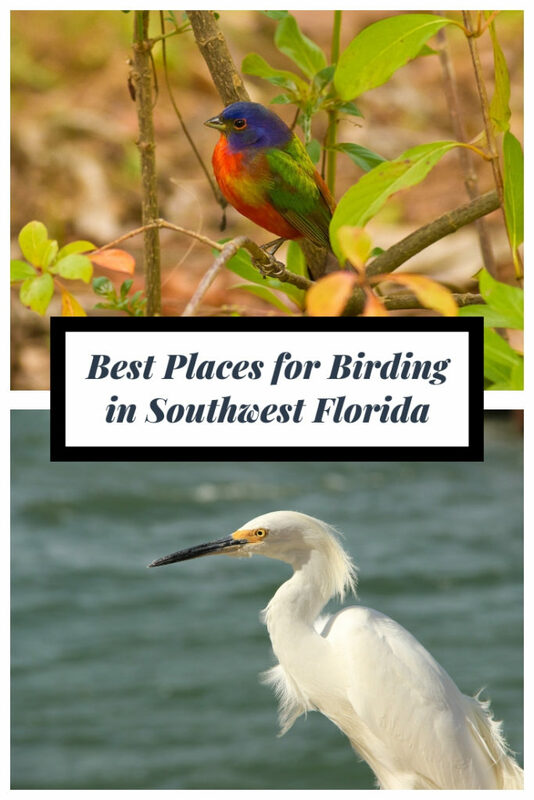 Southwest Florida is one of the best places in the country for bird watching. The area is in the path of one of the world’s most traveled flyways, which means migrating birds from across the globe travel across our skies. To get great views of birds flying across Southwest Florida, check out these five amazing places for birding in the area. Often making it into the top 10 places to bird-watch in the United States Audubon Corkscrew Sanctuary is a favorite birding destination for amateur and seasoned bird watchers. In addition to being a wonderful spot for bird watching, Audubon Corkscrew Swamp Sanctuary is also known for ease of viewing. As one of the world’s last old-growth bald cypress forest, this sanctuary is home to wood storks, white ibis, and red-bellied woodpeckers year-round. 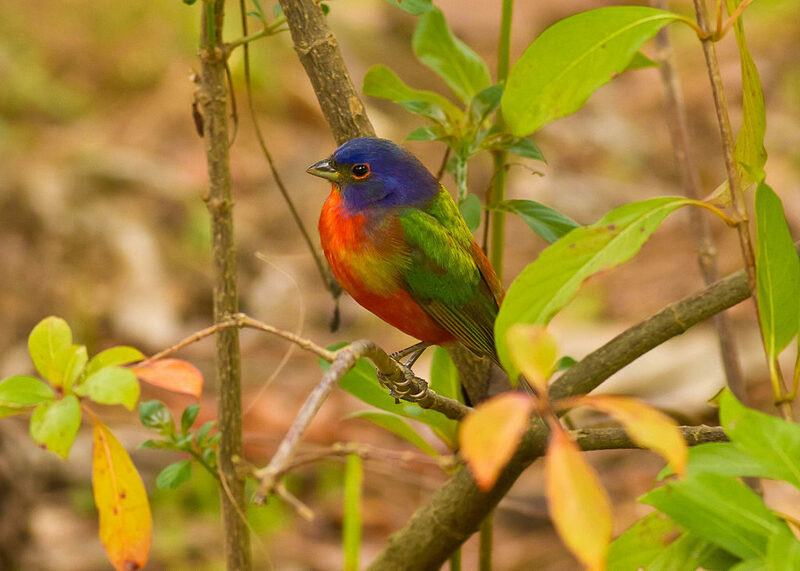 During migration season, you’ll also find warblers, painted buntings, and summer tanagers from the two-mile long boardwalk that works its way through upland, wetland, and cypress forests. 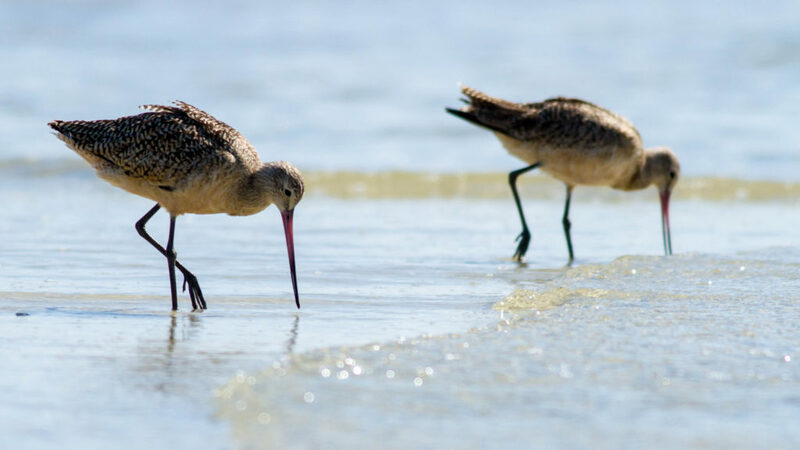 This beautiful beach in Fort Myers is a wonderful place to view a variety of waders and shorebirds, including the marbled godwit, roseate spoonbill, whimbrel, black skinner, and American white pelican. Visit Bunche Beach Preserve during low tide for the best bird viewing, when you’ll likely catch a glimpse of reddish egrets and maybe even a surf scoter or pomarine Jaegar. Photo by James Diedrick on Flicker. 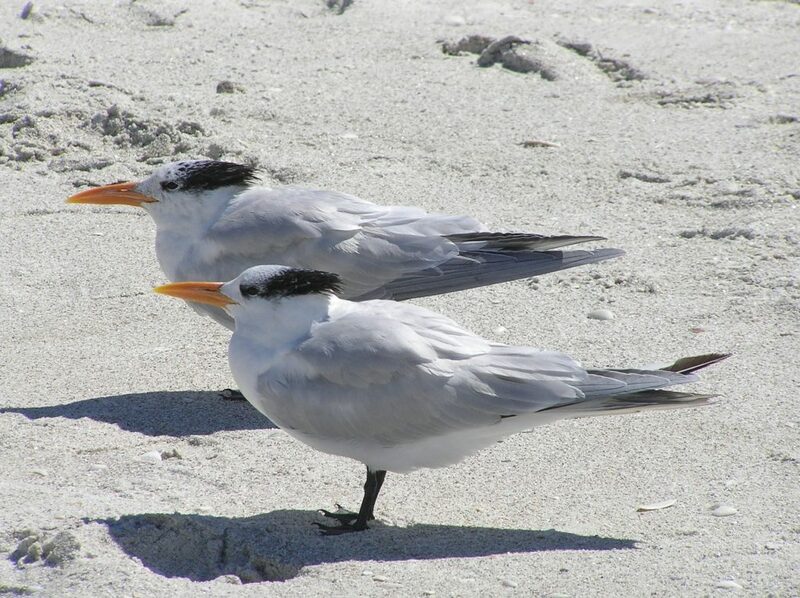 If you’re searching for shorebirds in the area, check out Delnor-Wiggins Pass State Park. Here, you’ll see sanderlings, sandpipers, plovers, and willets on the beach. In its estuary backwaters, you could have the opportunity to see bald eagles and woodpeckers in the dead trees or pelicans flying in the air. Anhingas, herons, double-crested cormorants, hawks and ospreys also call this beautiful state park home. 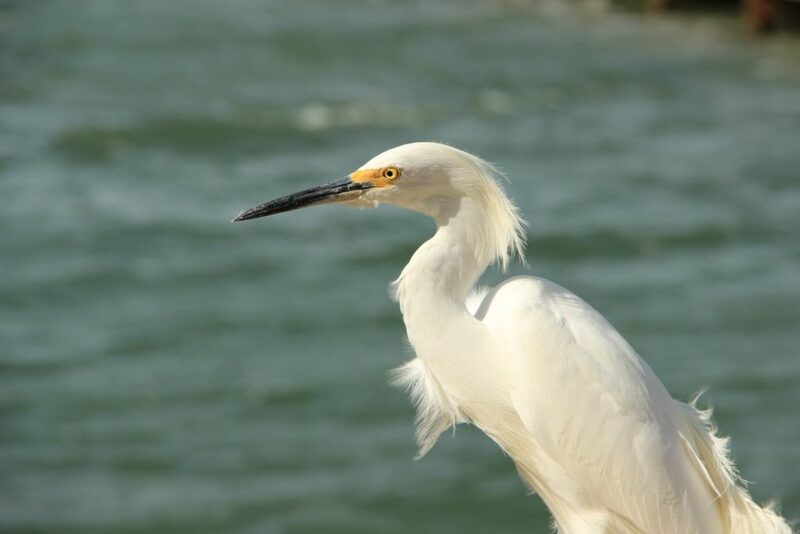 As one of the first national wildlife refuges in the country, Ding Darling is a hotspot for birdwatchers in southwest Florida. 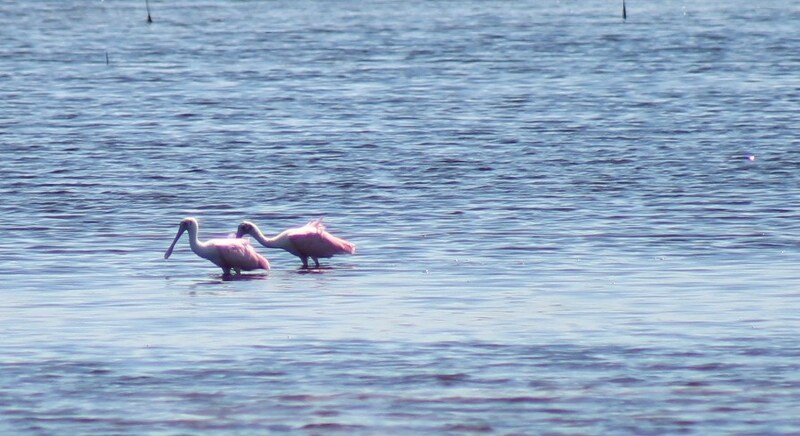 You’ll have the chance to view a huge variety of pelicans, wading birds, and shorebirds in this picturesque preserve. You can even view the nature preserve’s inhabitants from your car while traveling along the five-mile road through the nature preserve. 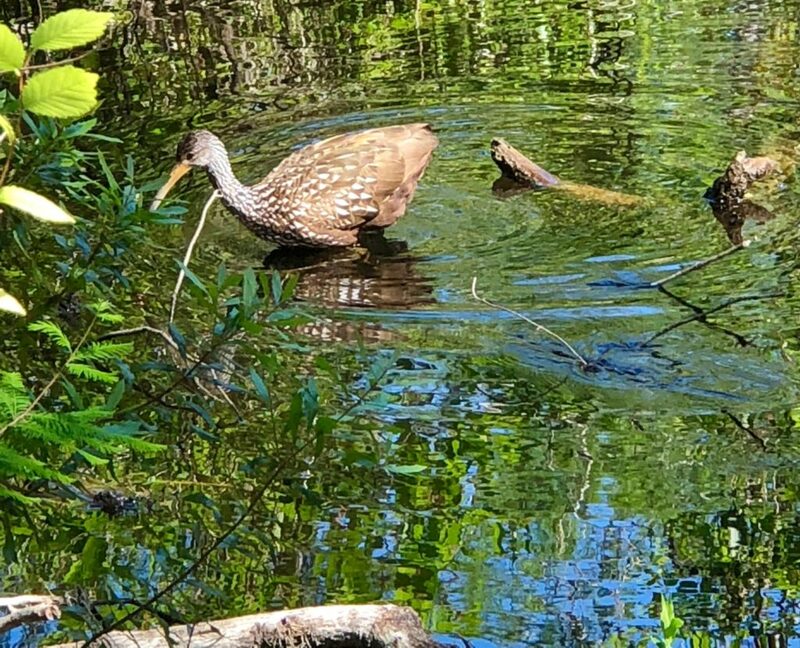 Part of the Lee County park district, Six Mile Cypress Slough Preserve is great for a leisurely stroll along the boardwalk as you watch for birds both in the air and wading below. As you walk, you’re likely to see a variety of warblers in migration, night-herons, cormorants, ibis, and egrets. This preserve also offers guided walks daily from November through April.